The original San Carlos was moved in 1930 up the San Carlos River a few miles. 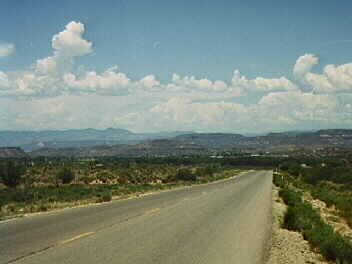 This is a view of "new" San Carlos about half way from Old San Carlos. 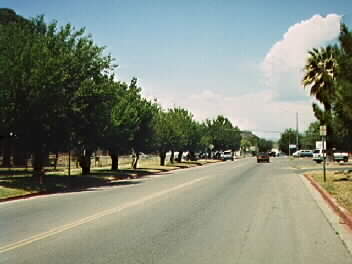 This is a view of the main street in "New" San Carlos. This is a photo of some of the older buildings in "New" San Carlos. They were constructed from the original "tufa stone" that were used in the buildings in Old San Carlos. 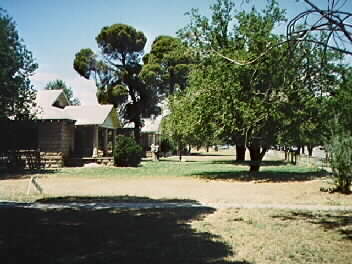 At this time the San Carlos Apache Tribe uses the buildings as administrative offices. 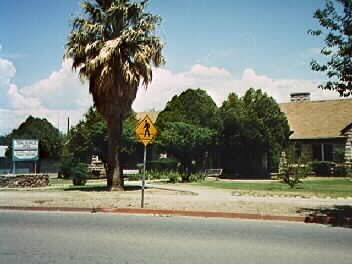 This is a picture of the current (1997) San Carlos Apache Tribe Employment Office, in "New" San Carlos. 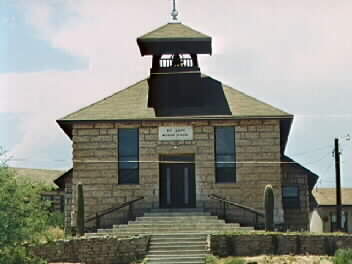 The Lutheran Church was the first Christian church to establish a mission among the San Carlos Apaches. The Uplegger family (father and son) spent many years at this mission learning the Apache language and teaching Christianity to the Nnee. The older Uplegger (Alfred) was the first to make a dictionary of the Western Apache language. His work among the Apaches had considerable influence, and his legacy is important to this day.